The ever-popular Thea Gilmore is bringing her own brand of singer/songwriter brilliance to St Andrews in the Square on Thursday, June 12. 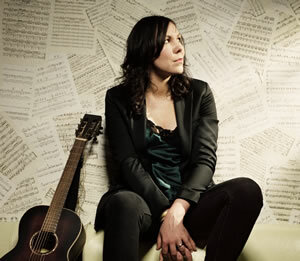 A regular and welcome visitor to these parts, Thea’s output has been consistently highly rated and BBC Radio 2 chose her last release, 2013’s “Regardless,” as its Album of the Week last April. With fourteen albums in her recording catalogue, she maintains an emotional and forceful quality in all her songs – and on stage, she’s funny, warm and totally captivating. Thea has a growing list of live shows lined up this year including the BST Hyde Park Festival with Elton John and Elvis Costello.